AWS provides a complete line of quality traffic safety products and services to the highway construction and railroad industries. 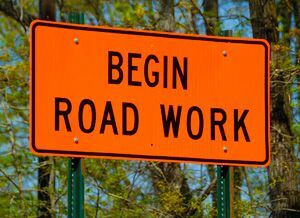 AWS performs the installation and maintenance of temporary traffic control devices in construction work zones and permanent highway signage. In addition, AWS provides traffic control support services for work performed on at-grade rail crossings, and the installation/removal of pavement markings on roadways, airports, parking lots and inside warehouse facilities. The company also offers the direct sale and rental of safety devices and personal protective equipment (PPE). We are committed to providing a safe work site for both the traveling motorist and on-site worker. Our services are available to you 24 hours a day, 365 days a year!